If you have ever wondered how to get a dog to like you then you came to the right place. Today’s discussion jumps into the things you can do to get a dog to like you, especially if the bonding has not exactly gone as well as you would like thus far. Dogs are generally quite friendly and typically associate their home and surroundings as their place for respite. Not to mention, caring for your dog with proper care can help a dog to lighten up towards you. Let’s dig in the situation a bit more. For starters, you will need to understand the mentality of a dog before jumping into some things on how to get a dog to like you. Dogs are generally calm animals when they are not active, but when something arouses them, they may rise to the occasion. One thing that can arouse a dog is your body language, as dogs are masters at picking this up without you even noticing. If you exude an anxious demeanor, then your dog or the dog you are around will most likely pick up onto this. Also, dogs are sensitive when it comes to teasing. If you tease them often then they may hold a grudge with you. There are some small subtleties that you should pay close attention to, but listed below are some things you can try to get a dog to like you. If you have recently adopted or rescued a dog then chances are this dog will need some time to open up to you. Some mistakes that some people make when they first bring an adopted dog home is love on them too much, which can drive your new dog away. Some dogs simply need a little space to allow them to adjust to the new surroundings and if you recently adopted a dog, consider this method if your dog appears timid. This is a good start on how to get a dog to like you. Why it May Not Work? In contrast to giving your dog space, some adopted dogs need special hugs, close attention, and all that they can get from you to feel assured that their new surroundings are safe and friendly. Finding your middle ground in this situation will require your judgment so consider both avenues. If you are introduced to a dog or your current dog does not seem to be connecting too well with you then you should try and play with the dog a bit more. Playtime with your dog is a great way to gain activity, bond, and to share the joy of play and with time, your dog will come to associate you with a friendly and fun environment. Some dogs need and require this type of attention, but why else did you get a dog in the first place? Playtime with a dog is a great way to solve how to get a dog to like you. Playing with your dog may not always be the answer to get your dog to like you. 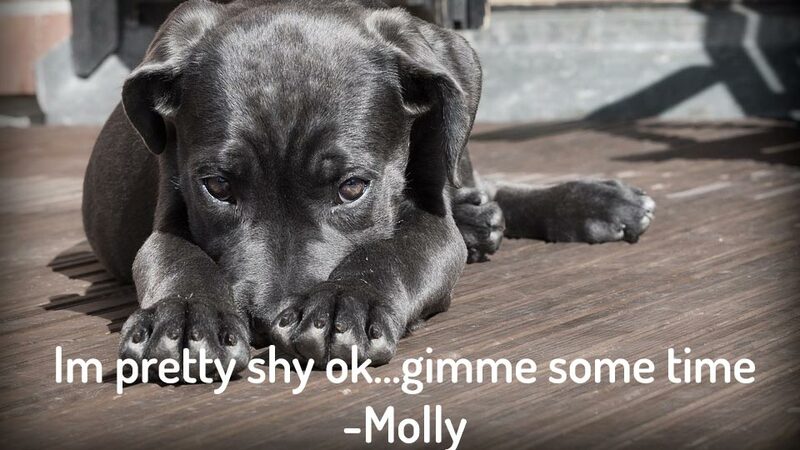 If you have a shy dog that is not very active then you may consider light playing or something more low key. This way, you still get some connection without adding too much stimulus. If you are having issues trying to get your dog to like you then consider searching for some things that your dog enjoys and do those things often. It may not be super noticeable like with children, but chances are your dog has a favorite toy, or gets excited to go on rides, or for walks. Regardless of what you try, as long as your dog enjoys the activity, you are likely to succeed. In comparison to finding some things that your dog enjoys, sometimes it is a challenge to simply find something that brings the dog joy in the first place. Sometimes this is the issue when you are introduced into a new home (as in if you are dating someone new) and interacting with a dog that is unsure with you could backfire in some ways. The best bet here is to use your best judgment, but more likely than not you are likely to succeed if you do the things the dog enjoys most (even if it means you do not enjoy the activity). What is it about learning that can improve the chances on how to get a dog to like you? Learning introduces new skills that your dog is learning and it is a great way to establish a bonding relationship. Some people start with simpler tasks such as sitting, lying down, playing fetch, special tricks, or anything you think is worthwhile. The key to this type of learning is with positive reinforcement. In order to establish positive reinforcement is to give your dog a special treat every single time he or she performs the task on command. Positive reinforcement is a great way to learn as it teaches the dog that you are happy with what they have just done. This also can help to improve your relationship as well. If you are looking for ways on how to get a dog to like you and teaching the dog does not work then chances are your dog may not respect you yet. Yes, they may take the treat as part of the positive reinforcement, but if your dog has zero respect for you then it could be a challenge to get them to like you in the first place. If this sounds like your situation then consider finding ways to earn your dog’s respect. This may require more formal training classes to establish this relationship, but it is effective. If you are having issues on how to get a dog to like you then you can always consider adding physical activity to the mix. Physical activity, for humans, has consistently shown positive results in improving self-esteem as well as building bonds with workout partners, so translating this with your dog should be the same. Consider adding in a daily routine of being active with your dog. Perhaps start with a gentle walk each day and get outdoors (if possible) to allow you and your dog to bond in the environment. If walking isn’t enough for you and the dog, consider jogging with your dog, playing fetch, or throwing a Frisbee to introduce more physical activity into both of your lives. Some dogs may not like physical activity, but there are not many reports out there stating that dogs hate walks. With that said if your dog is older, in pain, or simply struggles to be active then this may not work for the dog. There is a chance that your dog does not like you because the dog is bored. Maybe trying the playing thing did not work and maybe physical activity did not work either. If this sounds like you then consider giving your dog a task to perform. This is a fun way on how to get a dog to like you because it gives the dog purpose and there are some dog breeds that were once used to perform valuable jobs/tasks around the farm. The next time you go on a walk, consider letting your dog carry an extra dog leash, stick, or carry the junk mail home. These simple tasks allow the dog to feel like an equal to you and it may establish a close bond. Just as with some humans, some dogs do not want tasks to perform. Quite honestly, not all dogs respond well with this way on how to get a dog to like you, but it is certainly worth the shot. Your dog should naturally have a desire to like those that feed them and if you are feeding your dog subpar food that causes them to feel ill then this could cause them to have a bit of a grudge. However, giving your dog healthy and nutritious food could really change things. Proper nutrition is a great way to show your dog that you care for them closely and while you may not think they notice, the dog surely does. If you have a cat as well, consider viewing this recent post on cat nutrition. Some dogs may not even notice if you are giving them inferior food, but more importantly, if the food you are feeding the dog food that does not cause them to feel ill then perhaps they may not notice if it is good or poor quality. I feel that you should be providing your dog with the best food possible and consider avoiding grain-based foods for best results. Similar to how your dog needs your caring for feedings, your dog also relies on your support in other aspects of health. This includes caring for your dog’s coat and regular grooming could help to build a special bond between you and your dog. Some of the best ways to groom your dog is to regularly bathe and brush your dog. Not only is does it improve the closeness, but it could help to improve your dog’s outlook on its health. A healthy dog is a dog who loves you. The one way in which this does not work is if your dog is terrified of grooming, which some dogs are. In your search on how to get a dog to like you, your search should not cause your dog any harm or distress and if grooming does this then consider any of the other already options as a method instead. The listed points mentioned above are simple and effective ways to get your dog to enjoy you more than what you have experienced. While most every method may not work with your dog, the chances of them working are stronger. For this reason, consider any of the options above as methods on how to get a dog to like you and consider taking things slow if you have recently adopted.